Start early teaching good dental hygiene habits to students in Grades 1-4. 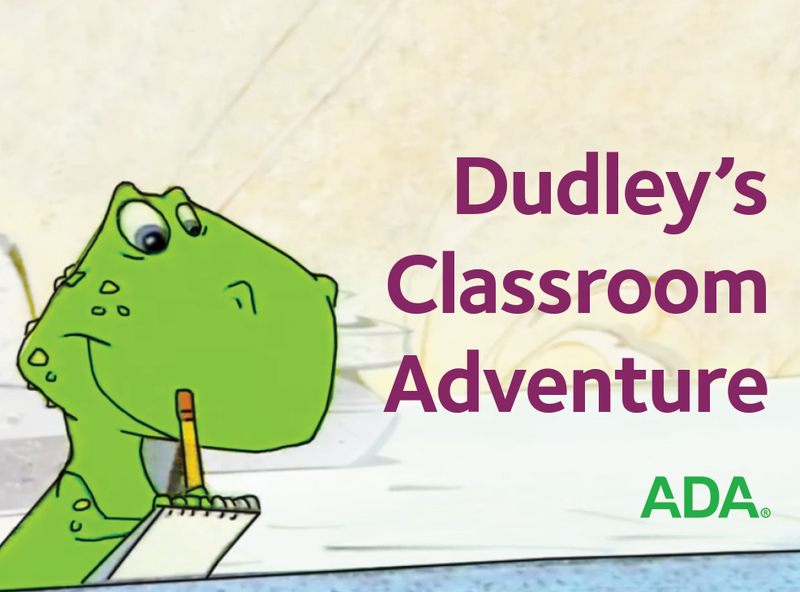 In the engaging nine-minute video, Dudley takes kids on a fun-filled classroom adventure as he writes a report on a healthy mouth. Great for school visits, the teaching guide (sold separately as item W417) comes with five reproducible activity sheets.